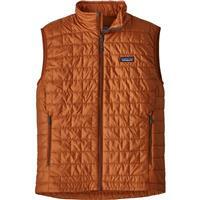 If sleeved jackets always feel constricting on your movements, the Patagonia Men's Nano Puff Vest is a great alternative. Even without the sleeves, you'll still get plenty of warmth for your torso. This lightweight vest boasts a 100% recycled polyester outer shell that is made to last by resisting abrasions and repelling water. 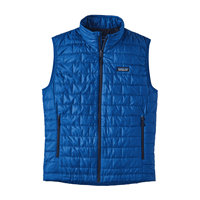 Even though it's lightweight, the Nano Puff Vest uses thermally efficient insulation on the inside to help your body stay a comfortable temperature when the outside temperature start to drop. Slip your hands into the zippered handwarmer pockets for extra warmth to avoid losing body heat or keep your valuables safe and dry. If it gets really chilly, zip it all the way up to protect your neck the whole way around. 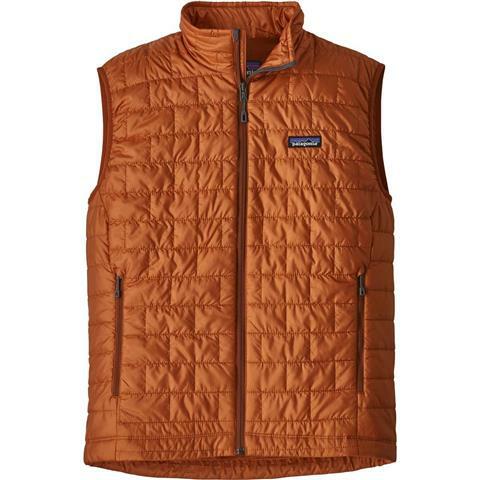 Unlike some jackets or vests that have itchy fabric around your face, the Patagonia Nano Puff Vest uses a soft interior fabric for optimal comfort. Pros: Great, Lightweight layer. you will wear it alot!! 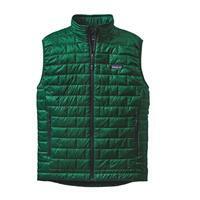 Last year I got the Nano Puff Jacket...liked it so much, this year I want to get the Vest. Thin, lightweight layer. 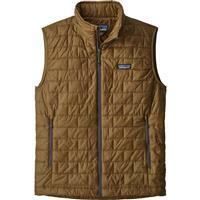 Has 2 outside hand pockets, one inside chest pocket. Mulit-season vest, fall, winter, spring. 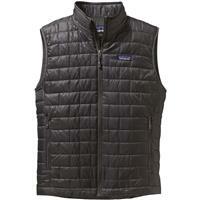 If you are looking for vest that can be worn outside and in the office, this is the vest you need. Bought this for my dad and he takes it everywhere! The material makes it easy to fold up and put in a bag without taking up too much space. the synthetic down is also able to get wet without ruining the material! This is a great light weight vest to wear as a stand alone piece for going out at night or to wear as a layering piece on the mountain. Lightweight, perfect layering piece. Made with synthetic down so it can get wet and not affect its warmth.